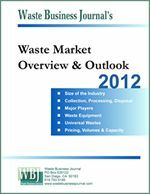 Waste Pro USA (Longwood, FL) announced that it has either acquired or reached agreements to buy 10 separate waste companies and landfills throughout the southeast. They include operations in Florida, Georgia, Alabama, Mississippi and Louisiana. "Waste Pro is significantly expanding our footprint throughout the South, both organically and by acquiring companies with our culture," CEO John J. Jennings said. The already consummated acquisitions include: Alternative Waste Services of Ocala, FL; Waste Container Services LLC of Jacksonville, FL; Green Key Environmental Solutions of Miami, FL; and the Dade County, FL commercial and roll-off operations and equipment of Eastern Waste Services. 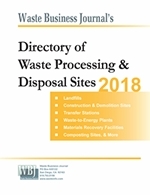 Waste Pro also purchased two construction and demolition debris landfills near Meridian, MS in June last year, and the company now owns and operates the former Kemper County Landfill in Philadelphia, MS.